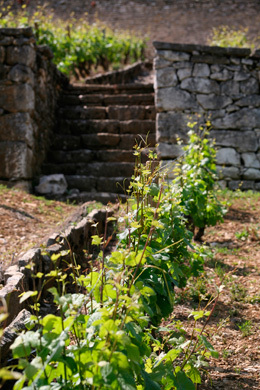 The Climats of the Bourgogne winegrowing region were included on the UNESCO World Heritage List on 4 July 2015. This inclusion involves not only the main players in the Bourgogne wine trade, but everyone who is passionate about this unique winegrowing area. This inclusion allows international recognition for this unique location, but above that, it aims to promote the Climats and preserve this unique, 2000-year-old cultural heritage for future generations. The area of the Climats of the Bourgogne winegrowing region covered by the UNESCO World Heritage List includes the Côte de Beaune and the Côte de Nuits, which extend over a 60km geological fault line, as well as the towns of Dijon and Beaune. The global model for terroir winemaking, this territory has constructed its centuries-old reputation on a patchwork of Climats. 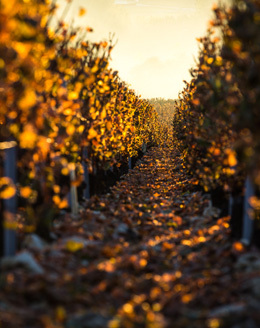 Created by man and nature, hand in hand, the Climats are more than 1,000 individual plots that are precisely delimited and classified into a hierarchy, gathered around the region’s various winegrowing villages. • It brings together 142 communes, from Dijon to the communes of Maranges, spread over a central zone where the most prestigious vineyards are located, and an outer zone to extend the perimeter to an area that is coherent in terms of culture and landscape. • It also features the towns of Beaune and Dijon, historical centers of political, economic and cultural power in the Bourgogne region. With examples like the Ducal Palace in Dijon and the Hospices de Beaune, the two cities are home to an exceptional architectural heritage that is closely linked to winemaking. • The UNESCO candidature was supported by the Bourgogne Regional Council, the General Council of the Côte d’Or, the towns of Dijon and Beaune, the Grand Dijon conglomeration, the community of the conglomeration of Beaune Côte et Sud, the community of communes of the Pays de Nuits, the community of communes of Gevrey-Chambertin, the community of Monts et Vignes, the CAVB, the FNEB, the CCI, the Prefecture of Bourgogne, and the Bourgogne Wine Board (BIVB). The unique character of the Climats, their position in the hierarchy of Premiers and Grands Crus, and the culture and history of the Bourgogne winegrowing region make this a territory of outstanding universal value. Any change to them would be a major loss for humanity. This key criteria is a common denominator for sites included on the UNESCO World Heritage List, such as the Egyptian pyramids, the Taj Mahal, Mont-Saint-Michel and the church of Vézelay. A site of outstanding universal value transcends frontiers and is exceptional in its character for current and future generations. 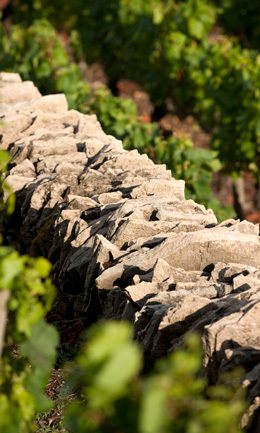 The Bourgogne winegrowing region does not simply produce prestigious wines. It draws the very best from this patchwork territory and maintains the historic landscape of the Climats. • The natural reserve of the Combe Lavaux-Jean Roland. In October 2013, a new body was established – the Conférence Territoriale – bringing together politicians, professionals and those associated with the territory to manage the commitments of the Territorial Charter, signed on 8 April 2011. It also has a brief to establish an annual action plan and the associated budget. This body is presided over by the mayors of Dijon and Beaune along with a representative of the professionals of the Bourgogne winegrowing region and will ensure the site’s dual winemaking-cultural identity. Four commissions will be responsible for working on the four key forward-looking themes of planning & architecture, landscape & environment, local development & economy, and mediation & tourism. Furthermore, the inclusion of the Climats on the UNESCO World Heritage List also opens up new opportunities for development for the whole of the Bourgogne region. Throwing the spotlight on the unique character of the terroir of Bourgogne, it will not just help promote the regional wine trade, but will also boost the future of the region through activities such as wine tourism. Obtaining World Heritage status for the Climats: Good news for all! The Association for the inclusion of the Climats of the Bourgogne winegrowing region on the UNESCO World Heritage List was responsible for the application under the presidency of Aubert de Villaine, winegrower on the Côte de Nuits. • 150 volunteers working to raise public awareness. • Over 80 corporate sponsors investing in strategies for sustainable development and promotion of the territory. • 21 communication bodies which signed a media pact undertaking to give the project maximum visibility. • A scientific committee of 36 specialists, including geographers, geologists, climatologists, historians, sociologists, linguists, biologists and agronomic engineers, to back up the territory’s claim to having outstanding universal value. • A support committee, presided over by Bernard Pivot, and bringing together everyone who supported the project. By July 2015, over 64,000 signatures had been gathered, including famous names such as writer Erik Orsenna, photographer Yann Arthus-Bertrand, former tennis star and singer Yannick Noah, actor François Berléand, and tennis coach Amélie Mauresmo.